If you have crooked teeth, or just teeth that are not as straight as you would like, but you haven’t wanted to use traditional braces because of their appearance or how long they take, we have another great option for you. This great option is called Six Month Smiles. Six Month Smiles is a clear braces straightening system designed to quickly and effectively straighten crooked teeth currently being offered Dr. Mirelez and his skilled team in Fresno. By using the very best aspects of traditional braces technology mixed with new innovate dental technology with a number of additional benefits, Six Month Smiles provides an effective path to straighter teeth and a more beautiful smile. Price | Six Month Smiles clear braces are cost effective, and in most situations cost less money than traditional orthodontic treatments. Time | Six Month Smiles works to straighten crooked teeth quickly. As the name implies, most treatments with Six Month smiles take approximately six months. Compared to traditional braces which average a treatment time of two years, Six Month Smiles treatment time is a lot faster. 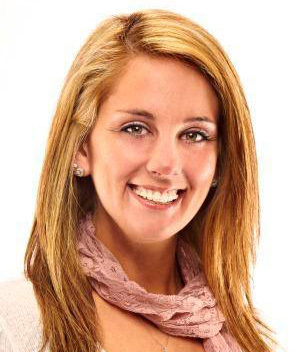 Appearance | Six Month Smiles is a clear braces system, and uses materials that are designed to look less noticeable. 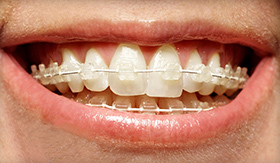 The wires used by Six Month Smiles are teeth colored, and the brackets use the patented LucidLok technology. Health | Because Six Month Smiles takes less time to straighten teeth, it means that you can resume normal care of your teeth quicker. This also means you can maintain excellent oral care quicker, and easier. Dr. Mirelez and his compassionate team are pleased to offer this fantastic orthodontic treatment to those who want straighter teeth in a faster and more effective way than traditional braces. Have any questions about Six Month Smiles, ClearCorrect, or Inman aligner services Mirelez Wellness Dental provides near Clovis and Madera? Contact us today and schedule an appointment in Fresno! Ready for a Beautifully Straight Smile?